Physical health. I enjoy working out, but I don't have the time/resources to do much more than run and home workout DVDs most of the time. Between Florida's scorching heat and unexpected thunderstorms (you know the ones that happen when the weather channel says 0% chance of rain? yeah, those), running doesn't happen as often as I'd like. As for the DVDs, well, they get old when you have a limited selection. Programs. 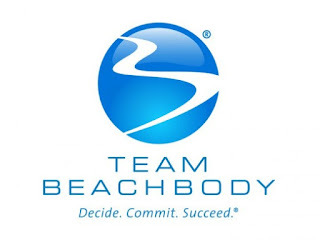 I've wanted to do programs like P90X and INSANITY, and actually didn't know they were part of Beachbody until now. SMH ( I also just learned what that means... SMH again). Running. I want to improve my running distance/speed, and improving my physical health will help with this goal. Accountability. Sometimes the things we enjoy and want the most require working for them when we're not really in the mood. I am excited to be joining a team of others who are working towards the same goals as I am. Family. I want to be able to run around with my kids until the day they don't feel like running around anymore, which hopefully will be never because I hope they grow up to always enjoy being active and have the desire to work for a healthy lifestyle when it is their own choice. I don't want to be a "sideline mom" (see #4). I don't want to miss out on family fun because I can't keep up or am uncomfortable putting on a bathing suit and jumping in the water with my family. This is something my Beachbody coach feels strongly about as well, so again, it is great to be joining a team of people who share the same motivations and goals. My coach posted something on her Facebook page a couple of days before I joined about how every choice comes with a sacrifice, and how you have to sacrifice in order to get the things you want or else the things you want become your sacrifice. There is SO much truth in that, in every aspect of life - physical health, spiritual growth, relationships, business, etc. In every choice I make, I want to be aware of what my sacrifice is and what my gain will be. I don't want to "wish" I were more active and diligent in my physical health, or feel like I'm missing out because I can't get to the gym, like, ever. So I made a choice to give this Beachbody thing a try. Now I need to choose daily to stick with it, and I know I have supportive people to back me up when I need them. I'm also hoping this public blog will help me stay accountable (whether anybody else reads it or not). :) Off to start some INSANITY! Whoo hoo! !